An abnormal heatwave spreading around the Australian continent has led to the deaths of tens of wild horses. 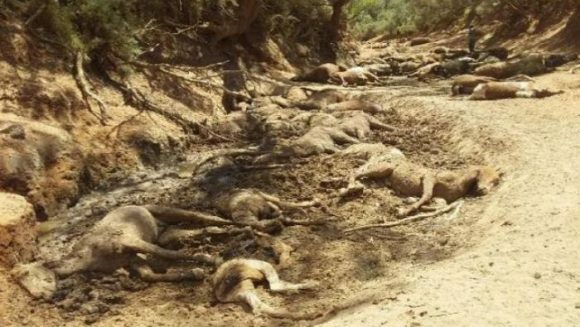 Australian authorities said they found over 90 horses dead or in agony around a dried up spring close to Alice Springs. Some 40 animals had already died, and the rest had to be put down because of their bad state of health. Over the past two weeks Australia has experienced heatwaves which broke a number of national records, with the highest temperature of 46.2 degrees Celsius recorded in Adelaide.